The piece de resistance of most Chapter 11 cases is the Chapter 11 reorganization plan. It is the debtor's proposal for the treatment of claims against, and equity security interests in, the debtor and the debtor's property. In most cases, the Chapter 11 plan is filed somewhere between about 4-12 months after the filing. Some are filed sooner, some later, and there are even "prepackaged" plans that were structured before the bankruptcy filing. However, in the majority of cases, it takes at least 3-4 months for the debtor to attempt to put his plan into place, and oftentimes much longer. 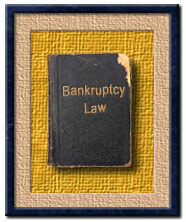 In the first few months, the debtor has at least a brief respite from the stress of defending creditor activity including collection calls and letters, lawsuits, wage garnishments, levies on assets, foreclosures, repossessions of automobiles and equipment, evictions, and court-ordered judgment debtor examinations. He has an opportunity to realistically assess his true financial condition and the viability of ongoing operations, under court supervision and without a requirement of paying pre-petition unsecured debts. Many of the preliminary matters will have been taken care of, including cash collateral agreements and orders, agreements with secured creditors for adequate protection on properties the debtor intends to keep, analysis of the claims filed versus the scheduled claims, appraisal of the merits of possible avoidance actions, including fraudulent conveyances and preferences, orders allowing DIP financing, and turnover of property in the hands of a custodian. The debtor will have undergone some initial restructuring by virtue of taking care of the Chapter 11 "housekeeping" chores, like opening a DIP account, filing monthly operating reports, paying U.S. Trustee fees, and appearing at status conferences before the court. The debtor will have had the benefit of the insight of the compassionate staff at the U.S. Trustee's Office, the creditors committee, and sometimes the Court, on the debtor's true prospects for recovery. The debtor will have had time to adapt to his new role as DIP, requiring him to have regard not only for his personal financial well-being, but for the fair and equitable treatment of his creditors. When Can Debtor File a Plan? Congress, realizing the importance of the "breathing spell" for the debtor in Chapter 11 cases, has enacted Bankruptcy Code Section 1121(b). This section provides for a 120-day "exclusivity period", during which the debtor, and only the debtor, is entitled to file a Chapter 11 plan. If the debtor files a plan within the first 120 days, then he has an additional 60 days to obtain confirmation of the plan, and other parties are precluded from filing competing plans during this extended period. The exclusivity period expires on the first to occur of: the appointment of a trustee; failure of debtor to file a plan within 120 days; failure of debtor to obtain plan confirmation within 180 days after the filing. After the exclusivity period expires, Bankruptcy Code Section 1121(c) allows a plan to be filed by any party in interest, including the debtor, creditors, creditors committee, and equity security holders committee. There is an outside deadline of 18 months for the filing of a plan by any party, and 20 months for confirmation of the plan. When Can Creditors File Plans? Creditors sometimes believe that the exclusivity law provides the debtor with an unfair advantage in a particular case. They may charge, rightly or wrongly, that the debtor is manipulating this provision by trying to strong-arm creditors into accepting a plan that is not quite as advantageous to them as it should be, and having the court "cram down" the plan over creditor objections. Is the case being propelled forward under the debtor's adroit captaincy, or is it sputtering, in fits and starts, and lurching along with no clear game plan? How big is the case, and how difficult is it for the debtor to assemble the needed information into the proper structure? Is the debtor paying his bills in a timely fashion on a going-forward basis? Is the debtor being a model Chapter 11 citizen and handling all of his "housekeeping" chores, like filing the monthly operating reports, paying U.S. Trustee fees, cooperating with the U.S. Trustee's Office? Is the debtor operating in good faith? Has the debtor been making bona fide efforts to negotiate with his creditors? Are the debtor and his counsel actively "working" the case, i.e., reviewing and objecting to claims, getting appraisals, filing avoidance and lien strip actions, hiring special counsel and accountants, and filing amendments to the schedules of assets and liabilities to ensure their accuracy? How long has the case been pending, and how long does it normally take to get the required work done in a case of this size and complexity? What are the prospects for the filing of a viable, conformable plan? In a few of the larger Chapter 11 cases, once the exclusivity period has expired, there are competing plans of reorganization filed. Under Bankruptcy Rule 3016(b), each such plan is required to be dated and its proponent identified. Each such plan is required to meet all of the requirements for confirmation, including the approval of a disclosure statement, and obtaining the requisite number of votes. If competing plans reach the confirmation hearing having met all of the requirements for confirmation, the court will decide which plan to confirm, taking into account the interests of the creditors and equity security holders.